Urgh cleaning! Why does it seem to take up so much of our lives? Surely no matter how much you love to have a spick and span home, there are better things that you can do with your life? But its seem like it’s a constant battle, to get a professional standard of cleaning in your own home, by doing it yourself. But wait, what if you used the tips and trick that the professional did? Read on to find out more. So one of the mortal dreaded cleaning jobs is making sure that the baseboards in your home are clean and dust free. You have to get on your hands and knees and gives over every square inch, right? Well, wrong actually. This is a job where you can really benefit from working smarter not harder. For example, did you know that you can get telescopic baseboard cleaning tools? Which mean all you need to do is walk around the edges of the room, and the tool will collect all the dust for you? You can even wet it slightly to get rid of stains. Then, and this is a real professional gem of a tip, take some dryer sheets and rub them around the baseboards. Why? As they repel dust, so the job will last for longer, and be loads easier to do, the next time! Another hugely time-consuming job is cleaning wooden items like floors in your home. Especially if they are made from expensive materials. Of course, you don’t want to leave anything that can cause a stain, but you also don’t want to be stressing that if you don’t catch a stain or mark immediately that it will be there for life. But this is where some insider knowledge can really pay off. Instead of varnishing your wooden surfaces use a product like Real Milk Paint Company Wood Oil. This protects the wood, but also give you an easy clean surface to work with. Making, cleaning up any spills and keeping wooden items in good repair, a lot easier. 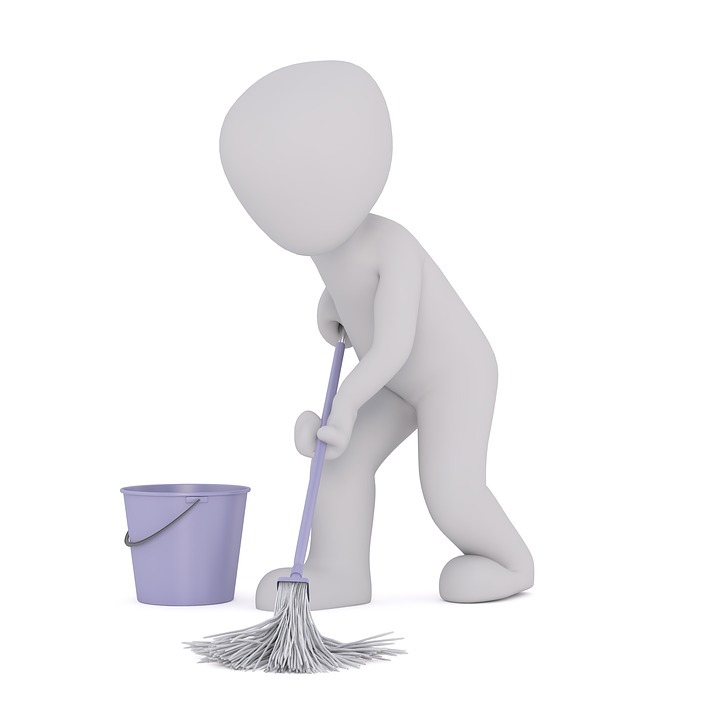 So, if you are cleaning as a profession, anything that takes a job away from you and gives you more time is a bonus. That is why robotic vacuum cleaners are such a good idea. These are little circular robots with built-in vacuums that you can program to run around your home independently. That means the vacuuming will always be done because you can set them off when you are out of the house, and they do it all for you. Easy! Lastly, as we all know dust is the enemy of a clean home, and while you can use an air filter to help reduce this you will never get rid of it completely. In particular, it can stick to surfaces and items like drapes and be very tough to remove. But of course, the pros know this, and have the perfect if a little unexpected solution. A hand towel. Yep, that’s right beating the drapes with a hand towel will dislodge way more dust that the diaper attachment on your vacuum. Then all you need to do is vacuumed up the dust when it falls to the floor.